As you may have noticed, as an organization, we’ve changed quite a bit over the past 12 months. Although our family’s business’ long-standing history of providing quality and honest service to those we have served was reason to continue pressing forward with an age-old name, our successful transition through the Arizona Real Estate industry over almost an entire century with a macro focus on the term “realty”, was somewhat confusing to our existing client base and now-established target market. 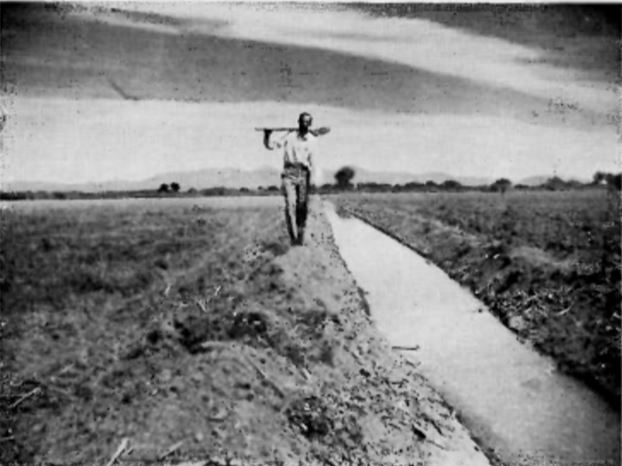 David E. Heywood, Sr. began managing Arizona Real Estate in 1933 when he co-founded Western Managed Farms Company of Phoenix, which was a leader and pioneer in Landlord Farm management throughout the southwest. David E. Heywood Sr. sold his share of the company in 1952 and took his knowledge and experience gained and co-founded a new company, which is known today as Heywood Realty & Investment, Inc., with his two sons, Ben Ross and D. Evans Heywood. In 1958, Evans Heywood shifted focus from agricultural to residential real estate as the booming market in the Phoenix Metro area was beginning to take shape. In 1959, a year after the focus shifted from agricultural to residential real estate, Heywood Realty acquired its first residential multi-owner management account; a small common interest development. With the successful management and brokerage of these newly introduced apartment-style residential developments throughout the Phoenix area, the management business grew to consume the majority of Heywood Realty’s professional support provided throughout the 1960’s. From the late 1950’s up to the present day, Heywood Realty has shifted fluidly through many facets of both residential and commercial real estate management and brokerage. What has been at the core of the business throughout the years? An ingrained systematic approach to professional real estate management which produces progressive results repeatedly for our clients. In short, we contribute our continued success to just getting things done while treating people with respect. Branding for small businesses has changed drastically over the past decade as increased digital mediums, in my eyes acting as the main catalyst, have expanded the cohesive visibility a small business must display both on and offline to maintain a reputable position within their respective marketplace. We were no exception and little thought was given to the portrayal of our “brand image” until recent years. In the past, it was hard enough for us to produce a digital rendering of our then logo for print or marketing purposes. As cliche as it might be, we work in the association management industry with an emphasis on residential communities (>95% residential) so why wouldn’t we incorporate a rooftop into our logo some way or another, right? We went through about 10-20 other renderings of various new logo ideas and spent over 6 months on the process but we’ll show you exactly how we got to where we are today to keep the boredom levels at a minimum. It started with a couple of basic shapes. Initially, we came together to naively decide a house was a great idea and also to keep the Heywood name incorporated into it somehow (H) — I guess to make us feel better about preserving the longevity of what generations of our family have sacrificed to build the business over the last 75+ years. Initial branding ideas. Cliche, we know. Evolution and iteration of our brand mark during our rebranding process. As shown through the iterations to achieve our final brand mark, (although we went through a lot more than the 4 iterations shown above) we developed a glyph we felt exactly matched what our organizational goal moving forward was to be established as: Raise the community management standard of quality. Outline of our final brand mark. Initially, we didn’t intentionally design our logo in a fashion so it would resemble an upward stroke or motion while subtly outlining the rooftop of a residential home; it just worked out that way. What we wanted before was so cliche even we couldn’t look past it until we actually got started. We got lucky and found a stroke of genius that not only accomplished all three of our initially established core objectives but subtly embodied exactly what we’ve promised to our customers; both present and future. Market relevancy was our biggest determining factor for rebranding. In the past, our organization grew strictly by word of mouth. We gained 100% of our clients because someone told someone about us and the quality results they experienced — imagine that. Yet when you asked a stranger on the street what Heywood Realty provided, 9 out of 10 times they would have guessed we brokered real estate. We’ve been involved in a majority of the Real Estate Management sub-markets throughout Arizona over the years and we needed to realign and position our allegiance to the community association management industry for good. That’s where we’ve been and that’s where we plan to stay. Another large factor that played into the decision of rebranding and re-investing into our organization was to show our existing clients we care about continually improving. We care about offering the best service and sharing our knowledge to help those we serve. The world we live and do business in is changing and moving digital. As an organization, we’re doing the same because we won’t let ourselves, or our clients, get left behind. Change is the only constant thing. If we didn’t change, someone else in the marketplace would have. Our clients would suffer because not investing in ourselves would be catastrophic to our organization’s ability to continually produce quality results. Culture is everything. Every company has a very unique culture and we were no different. Rebranding would help us position ourselves to prospects in a more refined way than before. It also would allow us to demonstrate our dedication to continually improving. But we knew external factors couldn’t be the driving force behind the process. Although these values were already deeply embedded into our company culture before we began this journey in one way or another, reinforcing their meaning in a publicly visible and established method helped us drive home exactly what we expected of ourselves as an organization. Our goal with writing this article wasn’t to selfishly gloat on past accomplishments or tell you we are the best. This article was written to offer transparency into an organization that has embraced change and will continually strive to offer the high-quality level of service. Although our deep rooted history may define and set us apart from most, our ongoing progressive results we deliver to clients time and again is what differentiates us from the rest.